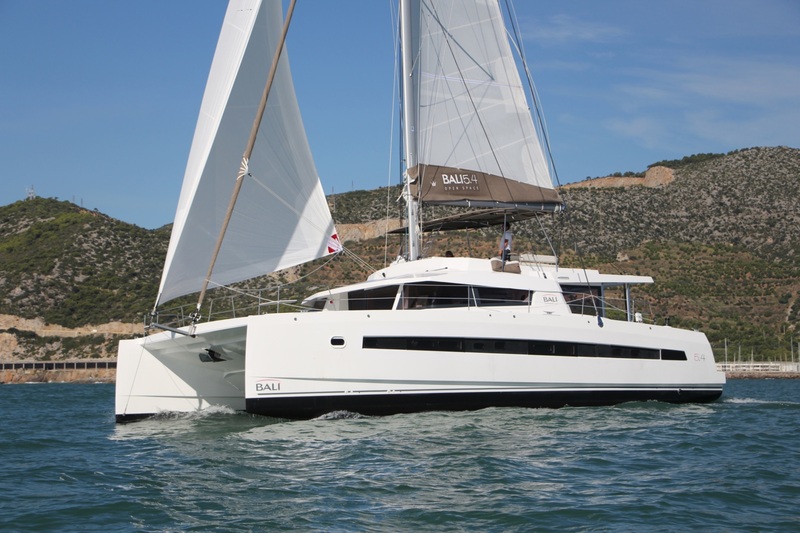 Sailing catamaran ALLURE is a Catana designed yacht measuring 16.8m (55'), she accommodates 10 charter guests, over 5 cabins and has a crew of 2. 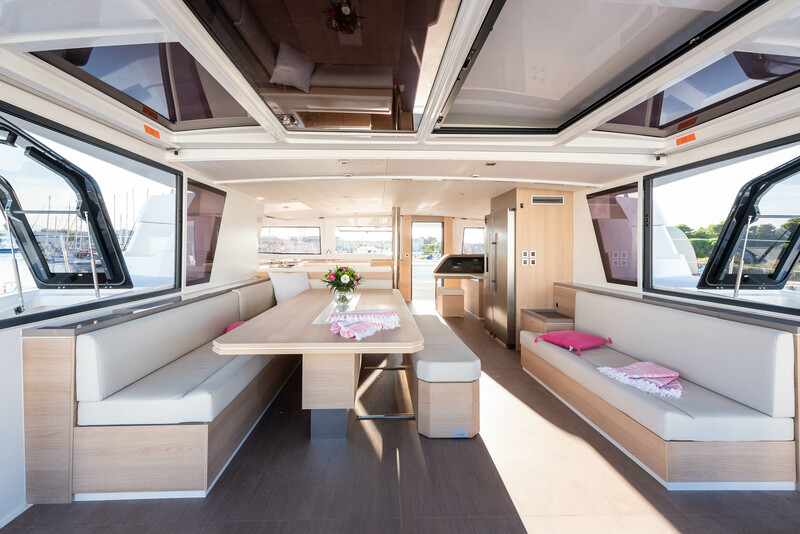 The open style yacht has a raised salon with plenty of seating, dining, and lovely neutral decor. The galley is placed forward, while the lounge and dining is aft. On deck, her aft deck is partially shaded offering seating and direct access to the swim area. 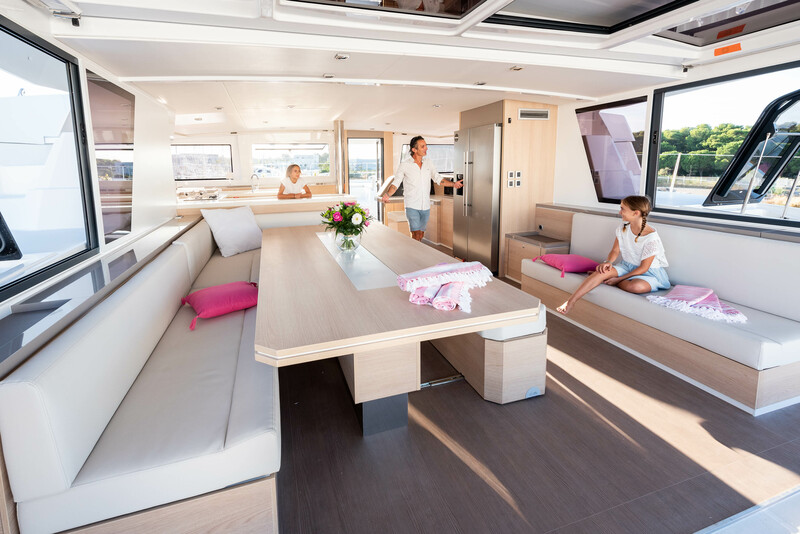 The foredeck the BALI 5.4 features sunpads and alfresco dining. 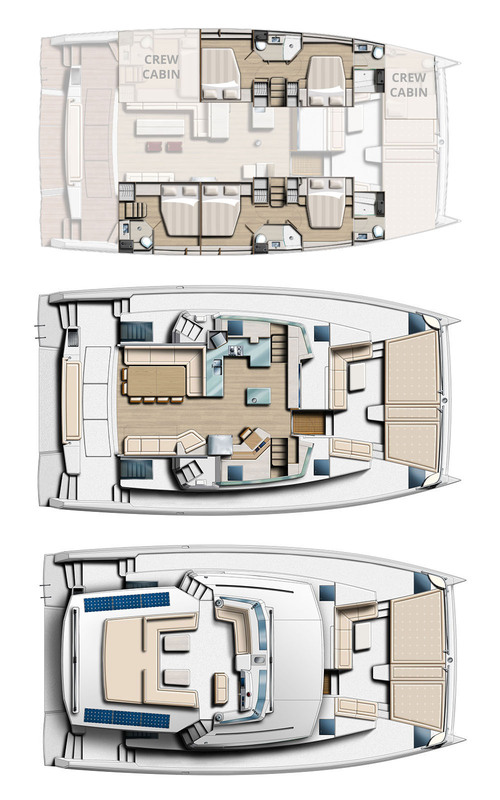 She is a flybridge design, which offers alfresco dining, sitting space, sunpads aft, and partial shade. Twin 75hp engines provide the sloop rigged vessel with speeds of 8 - 10 knots. 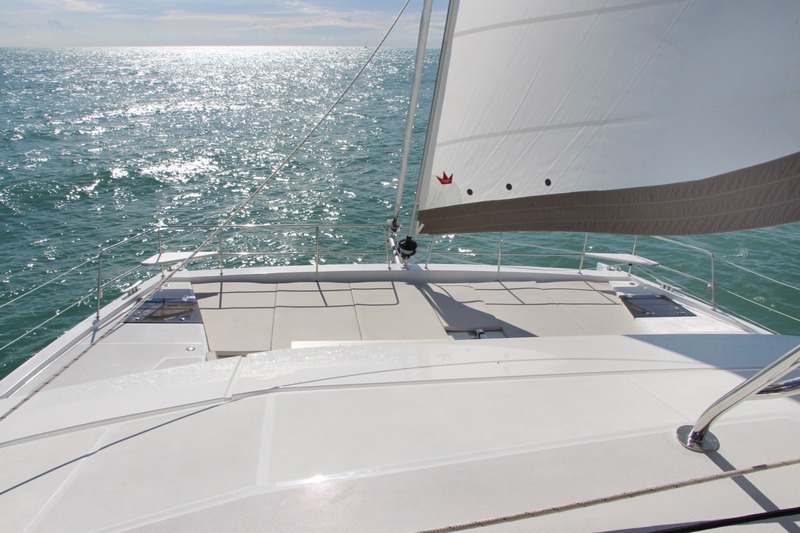 Accommodation comprises 5 double cabins for up to 10 charter guests.